Wonder No More! Here Is Pisces’S True Agenda Revealed! Pisceans are the well-known zodiac dreamers with bright imagination and many friends. Besides, they’re good at solving tricky problems as they can effectively think outside the box.  Pisces natives easily adapt to new situations and accept them without any problems. They’re great partners, too, and do their best to adjust their behavior to their partners’ needs. Deeply inside, Pisces people want all their dearest desires to come true although they may realize that it’s hardly possible. They want the real world to resemble the one that exists in their heads. On behalf of all Pisceans, it’s important to mention that this idea is not completely impossible. Their imagination helps them choose the right course and follow it.